Berlin, Jul 12, 2016 (Global Fashion Wire) - At the Fashion Tech Berlin exhibition, 360Fashion Network displayed clothing and accessories made with 360Fash Tech Kits. 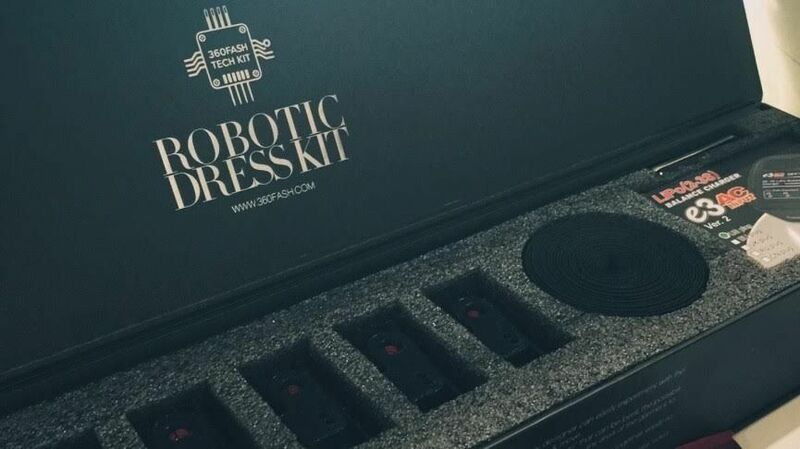 Among the many items displayed, the "Robotic Dress Kit" stood out as a fashion maker kit for fashion designers to create their own intelligent clothing without the need to code or solder along with the "Motion Kit" enabling motion to trigger lighting. A ball gown created by Michal Starost using the "Robotic Dress Kit" raised it's skirt and danced in a pattern with the press of a button. The Motion Dress created by RFACTORY using the 360Fash Tech "Motion Kit", lights up when the wearer makes a large movements such as walking, but does not flash on when standing in front of someone. The dress made lightning bolt patterns down an organza gown using soft fabric LED Ribbons included in the kit. 360Fash Tech Kits are a series of maker kits for fashion designers, with eleven different technologies to try such as the Motion Kit, Robotic Dress Kit, LED Bag Kit, Solar Power Bag Kit, Gesture Kit; each with a variety of sensors and components suitable specifically for fashion clothing and accessories that snap together. 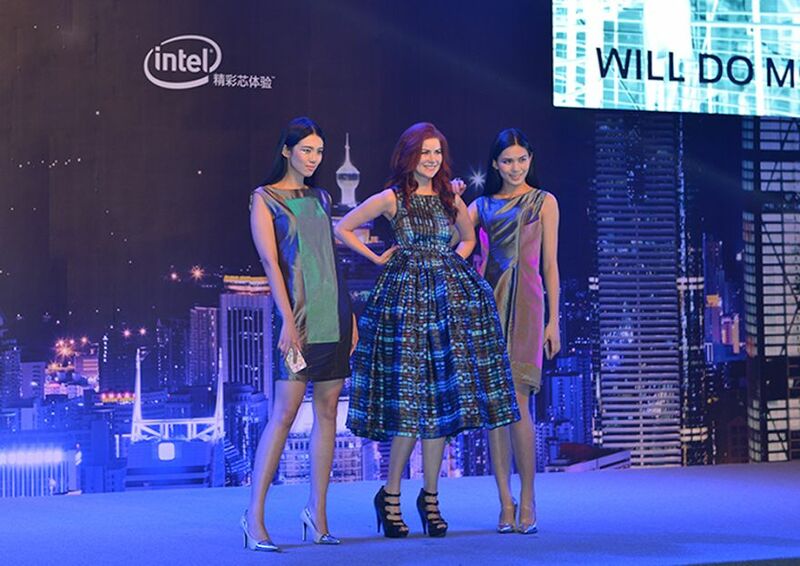 The kits are using Intel Edison and Intel Curie boards along with having IBM Bluemix cloud service integrated with Twitter Sentiment, IBM Watson, and weather api's for fashion designers to use. "Working with 360Fash Tech Kits was quite easy, enabling us to bring a future glimpse at what shape, movement, and robotics can contribute to the change of a silhouette." Says Michal Starost. "Integrating motion lighting into our dress gave us new possibilities to service our clients, with a new experience and fun. Fashion tech is the future and the 360Fash Tech Kit makes is possible for us to experiment." - CEO RFactory, Ocean. "We want to make it easy for fashion designers to concentrate on what they are good at: integration and design. Our kits make it easy for them to take their first steps into wearable technology and smart clothing product creation." Says Anina Net, CEO of 360Fashion Network. 360Fash Tech Kits are created to bridge the gap between technology and creative individuals. 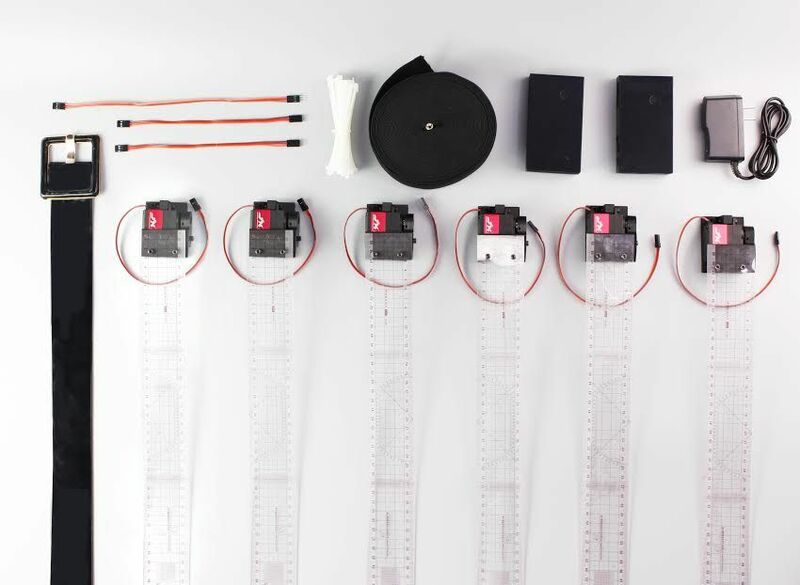 The kits use a snap together method to assemble, along with drag-and- drop software for visually programming the hardware, in order to empower fashion designers and creative individuals to create smart intelligent clothing & accessories without the need to code. "360Fash Tech Kit" are available for pre-sale on www.360fash.com. The Robotic Dress was created to illustrate a time in the future when one piece of clothing will need to transform using wearable computing, to suit a woman's multi - tasking lifestyle. Dress Designed by Michal Starost using the 360Fash Tech "Robotic Dress" Kit. The Motion Detection Dress was crated to illustrate how motion and lighting can create a dramatic effect when a woman enters the room. Dress Designed by RFactory using the 360Fash Tech "Motion Lights" Kit. What is a 360Fash Tech Kit? A maker kit for fashion designers to create intelligent, tech-enabled clothing and accessory prototypes. Are the kits for sale now? We have a special evaluation kit for sale currently for a flat rate. The eleven kits are currently on pre-order and we intend to crowd fund the sales. What can fashion designers do with the kits? They can use all the parts in the box to create smart clothing according to they kit type and learn about integrating technology into clothing & accessories. What technology do you use to power the kits? The kits use Intel Edison and Intel Curie along with having sophisticated cloud computing built in using IBM Watson, Twitter Sentiment (Tone Analyzer), and Weather Api, using IBM Bluemix. What brands have you cooperated with using the kits? RFACTORY - Motion Dress "Motion Kit"
MICHAL STAROST - Robotic Dress "Robotic Dress Kit"
ROMASTER - QI Suit "Gesture Kit"
ZiYe Wang - 2nd Robotic Dress "Robotic Dress Kit"